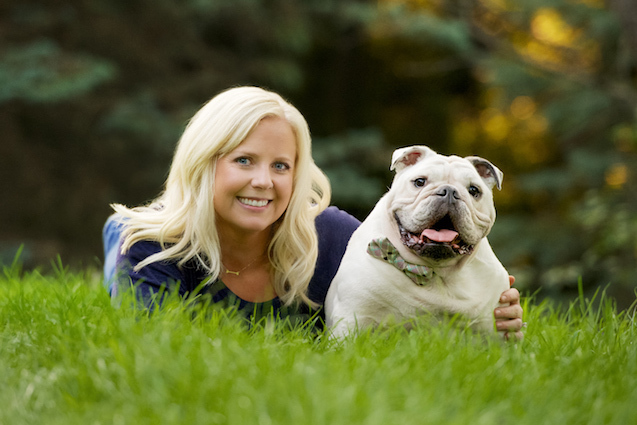 While growing up on a Minnesota dairy farm, Cristen Breuer noticed her bulldog Moose liked to play with the black rubber tubes used for milking cows. That discovery led the registered nurse to upcycle the tubes into dog tug toys. In 2012, she started selling the “Mootugs” on Etsy as a side business for between $14 and $21 each. Fast forward to 2015, when she brought in six figures — and quit her full-time job. Here’s how Breuer built her side hustle into a full-time business. Breuer started Mootugs as a hobby and a way to raise money for the French Bulldog Rescue Network. She’d pick a rescue organization to support each month and donate a percentage of the proceeds to the rescue in exchange for them helping her promote the toys. Thanks to positive word-of-mouth, Mootugs was featured in the magazines Country Living and Modern Dog, and landed a five-figure wholesale deal with the dog subscription service BarkBox. For three months, Breuer and her husband spent evenings and weekends making Mootugs by hand — about 600 on a weekend and 150 during an evening. Despite her success with BarkBox, Mootugs didn’t take off the way Breuer had hoped, so she brainstormed other ideas. She couldn’t find tags that said “Oh **** I’m Lost” for her big awkward bloodhound or “Can’t control my licker” for her bulldog that loved to lick everything in sight, so she learned how to make the tags herself. In 2014, Breuer used funds from the wholesale deal with BarkBox to purchase tag-making equipment and launch a second Etsy shop called Bad Tags. That shop sells handmade, personalized dog ID tags with cute and sassy sayings on them like “the snuggle is real” and “straight outta rescue.” They sell for $14. Once Bad Tags launched, social media buzz helped drive sales. In addition to the Etsy shop, she also launched a standalone website for Bad Tags. But it wasn’t easy for Breuer to balance her two side hustles and her full-time job. She earned about $68,000 a year as a nurse and processed around $100 in orders per day out of her house, a pace that just wasn’t sustainable. “It got to the point where I had to continue nursing and put the two businesses on the back burner or I could take the leap and go for it,” she says. In January 2015, Breuer and her husband sold their big suburban home and moved into a little fixer-upper house on a hobby farm so they’d have fewer financial obligations and she’d feel more comfortable leaving her job. How Much Do the Businesses Make? Despite the risk, Breuer’s leap has paid off. Last year, her two businesses combined averaged $10,415 in sales per month (80% of which is Bad Tags) and overall sales hit six figures. Breuer is expecting a big fourth quarter this year, since many of her customers order her products as holiday gifts. In addition, the “shop small” movement, where consumers support small, local businesses over large corporations, also gets a boost around the holidays. These days, Breuer hand-makes about 30 orders per day and only closes up shop most nights when her husband reminds her to get off the computer. Your turn: Have you tried selling on Etsy? What other pet products might you make and sell? Susan Johnston Taylor is a proud dog mom to a rescue Chihuahua named Sebastian and a freelance writer who’s contributed business and personal finance stories to The Atlantic, The Boston Globe, Entrepreneur, Fast Company and U.S. News & World Report online. She gets her frugal Yankee habits from her mother’s side of the family.